TRAFFIX is a cooperative public service designed to promote and implement transportation alternatives. TRAFFIX was established in 1995 as a state funded transportation Demand Management Program (TDM) designed to assist with the states’ effort to decrease traffic congestion during peak travel times. This program provides you a reliable ride back to your point of origin, if you have an unexpected emergency after you arrive at work. A vanpool involves 7-15 commuters who use a van owned by a third-party leasing agency or possibly their own. 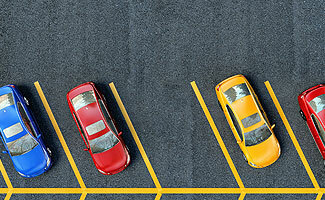 Park & Ride lots provide a secure, convenient place to park your car so you can transfer to a carpool, vanpool, or — depending on the location — possibly catch a bus, light rail or ferry. 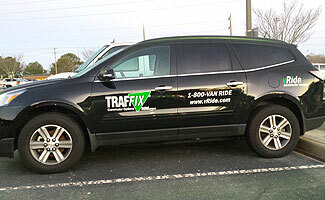 TRAFFIX Rewards offers carpool matching and commuter rewards. Find your match and get rewards from local and national sponsors when you share the ride, use mass transit, telework, walk, or bike to and from any occasion (work, recreation, shopping).